Transparent, very shiny and very beautiful color (better than the photo) amethyst from Dal'negorsk. 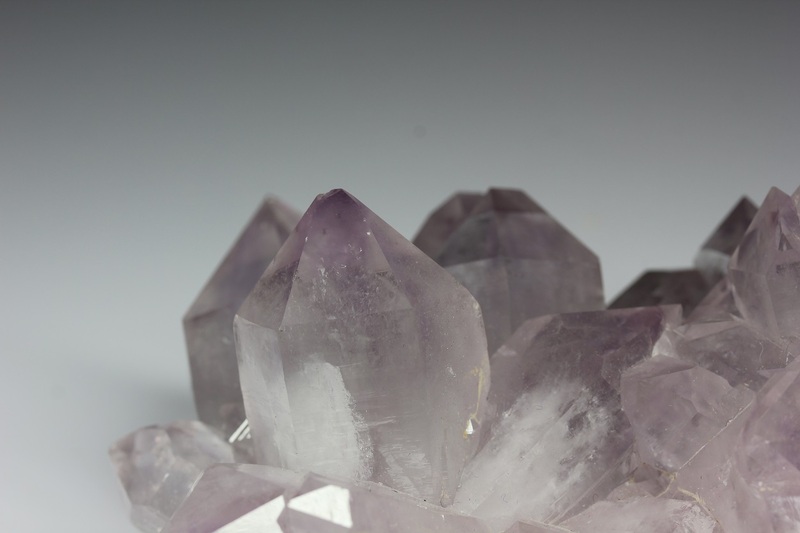 Most crystals have phantoms. Several crystals have very small chips at terminations, but this is one of the best amethysts from Dal'negorsk, which I saw. Rare in this size, color and quality, because basically almost all the samples have significant damage. 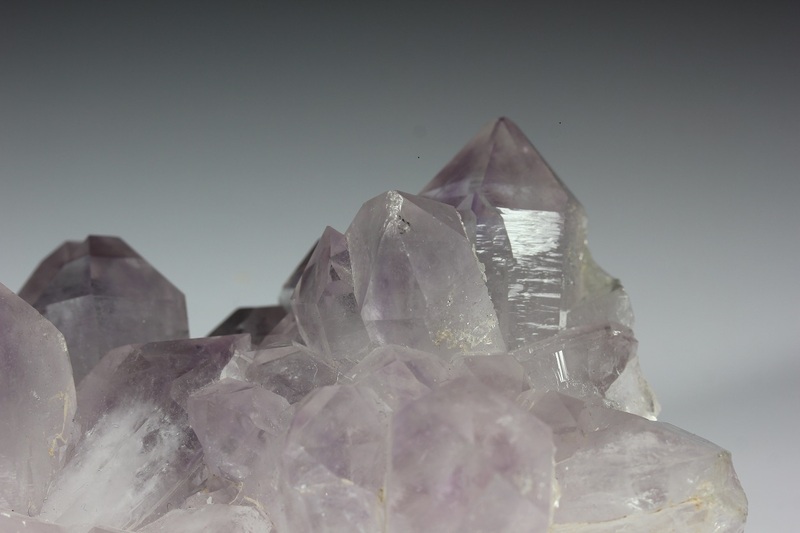 Amethyst is rare for Dal'negorsk deposits.